2nd cutting is about 50% complete. At this time there is a good range of different grades available. 2nd cutting is about 50% complete and quality is good so far. 1st cutting was good. More than half of the crop is low premium to premium grade. 2nd cutting timothy is complete. 3rd cutting is complete. Much of 3rd cutting was impacted by the persistent smoke layer which delayed the drying time resulting in bleachy product. 3rd cutting is early in the harvest. Quality is anticipated to be good. 3rd cutting is complete in Western Idaho. Eastern Idaho will begin their 3rd cutting in approximately 2 weeks. 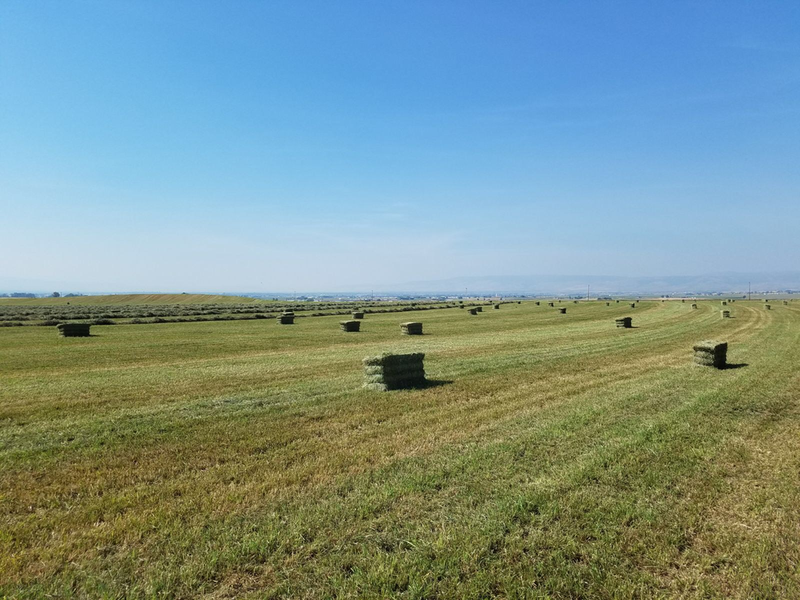 Klamath Falls and Christmas Valley: Klamath Falls 2nd cutting alfalfa was fair quality. The domestic dairy market purchased a lot of material. Bermuda Hay: 2nd cutting after seeds will be harvest in a couple of weeks. 2nd cutting will be close to finished in a couple weeks. Sudan harvest is complete. Quality is consistently good. Harvest is complete. Good quality of non-rained on product. Perennial Ryegrass harvest is almost complete. Good quality. Volume is anticipated to be in short supply due to Ryegrass fields being planted in other crops. Fescue Straw harvest is complete. Quality is good and volume is anticipated to be similar as last year. Bluegrass straw harvest is complete. 1st cutting is complete. 1st cutting had high prices as a large portion sold domestically to California and some to Nebraska. 3rd cutting has begun in the South Basin. Cutting will continue to gradually move from the South Basin to the North Basin for the next week to week and half, weather permitting. Slight rain showers are predicted in the forecast early next week. 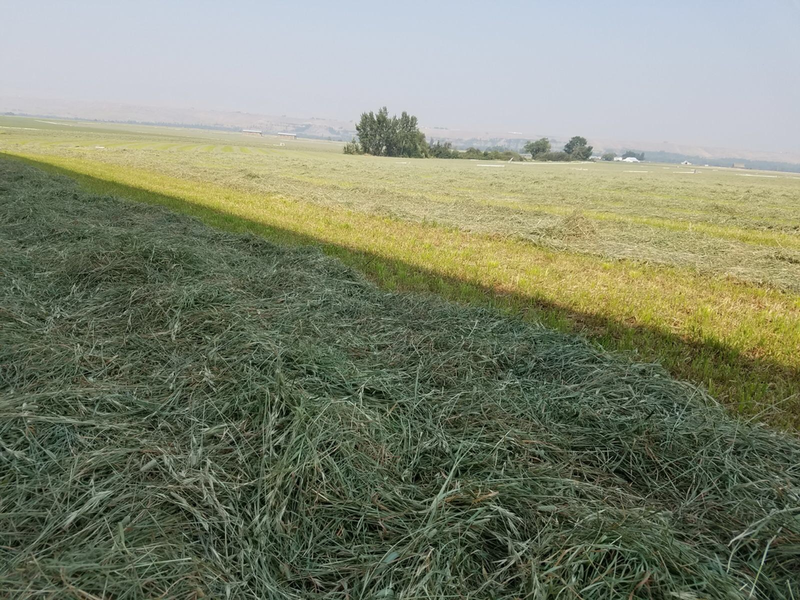 2nd cutting in Eastern Idaho is underway and is expected to finish within the next week to week and half, weather permitting. Warmer weather is forecasted for the weekend and into next week. 3rd cutting is underway in Western Idaho. Klamath Falls and Christmas Valley: Klamath Falls area is being cut now. Baling will begin early next week. Some 2nd cutting received rain damage, however, good weather is forecasted going forward. Bermuda Hay: 1st cutting after taking the seeds has begun. 2nd Cutting has been underway for two weeks. Sudan harvest in Kittitas Valley is anticipated to begin within the next week, weather permitting. Cooler weather temperatures are expected over the weekend. Baling of straw is finishing up. Weather has remained favorable throughout harvest. Perennial Ryegrass is actively being harvested and baled. Fescue Straw is actively being harvested and baled. More and more fields are being cut now. The weather has been cooler again this week. However, warmer weather patterns are forecasted beginning this weekend through next week. There is rain forecasted over the weekend. With good weather beginning next week. Early fields are expected to begin cutting later end of next week with cutting continuing through the first part of June. New crop harvest is expected to begin late July. 1st cutting is nearly complete. Southwest Idaho: 1st cutting is nearly complete, a large portion of those fields have been rained on. 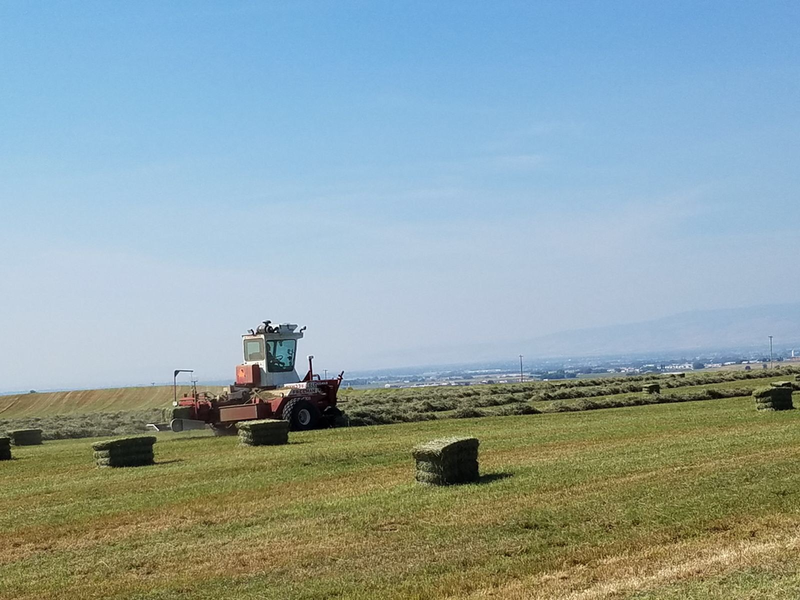 Southeast Idaho: 70% of the fields have been cut, some of which will be baled and stored before the weekend. 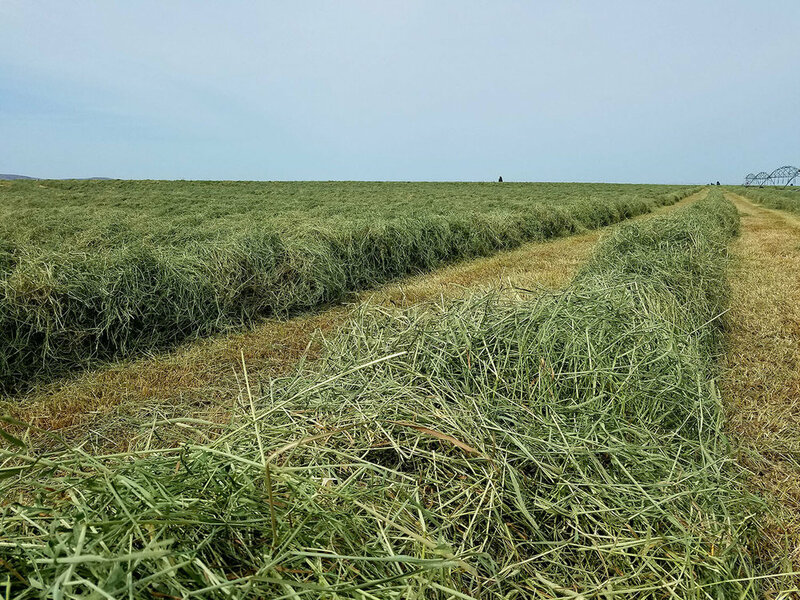 There are rain showers forecasted through this weekend, so it is expected that the fields that are not able to be baled and stored prior to the weekend will be rained on. We anticipate for the the remaining fields to begin cutting on Monday. Northern Idaho: Rain is forecasted through this weekend, with warmer weather patterns beginning next week. 1st cutting is expected to begin following the weekend. With the majority of the fields being cut next week, due to the good weather window forecasted. Eastern Oregon: 1st cutting is complete, with 2nd cutting just around the corner. Klamath Falls: Klamath Falls received around a 1/2 inch of rain over this past weekend and over 50% of the fields that were cut received rain damage. 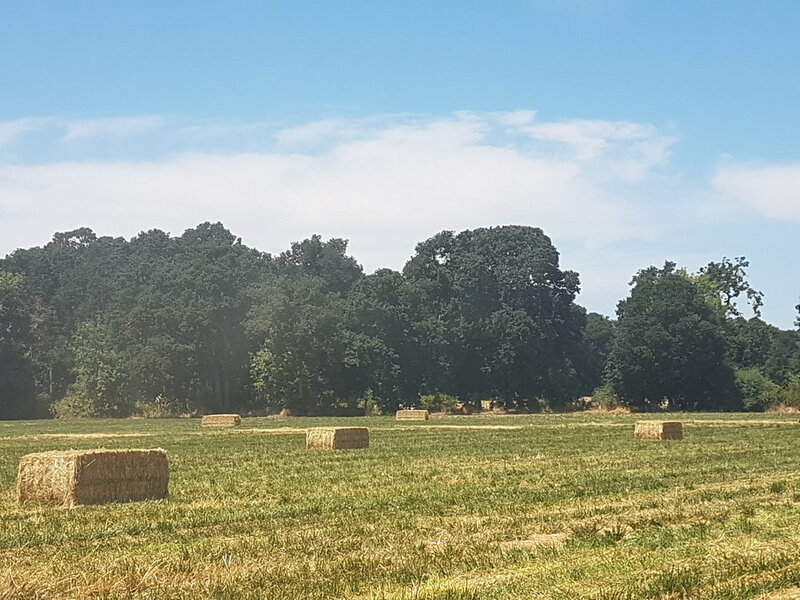 Christmas Valley: Some early cut fields were not able to be baled and stored before the rain showers began last weekend, therefore receiving rain damage. However, the weather is expected to improve now. We anticipate cutting to begin soon with a break in the weather. 4th cutting is being cut now. Bermuda Hay: 1st cutting is becoming available, however supply is very limited due to very high prices on seed. Bermuda Straw: New crop will be available in August. 2nd cutting harvest has been underway since last week. Early Sudan will be gradual from now, onward. Acreage for new crop Sudan has increased by about 14% compared to 2017 crop. Sudan harvest in Kittitas Valley will be early-mid August forward. The straw harvest is on schedule to begin around the 1st week of July. Willamette Valley has received a lot of rain over the last week. New plantings are slightly up around 5-7% but overall we anticipate the same yields as 2017 crop year. Harvest is expected to begin around the 3rd week of July. Harvest is expected to begin the first week of July.